NW Getz & Associates, Inc. The Pittsburgh Steelers and the Pittsburgh Pirates shared Three Rivers Stadium from 1970 to 2000. After discussions over the Pirates building a full-time baseball park, a proposal was made to renovate Three Rivers Stadium into a full-time football facility. Though met with negative reaction from Steelers ownership, the proposal was used as a "fallback position" that would be used if discussions for a new stadium failed. Steelers ownership stated that failing to build a new stadium would hurt the franchise's chances of signing players who might opt to sign with other teams, such as the other three teams in the Steelers division who had all recently built new football-only stadiums. In June 2001, the H. J. Heinz Company purchased the naming rights to the stadium. As per the deal, Heinz will pay the Steelers a total of $57��million through 2021; the "57" being an intentional reference to Heinz 57. Despite Heinz later announcing its acquisition of Kraft Foods Group to form Kraft Heinz Company in 2015, the stadium's name will remain Heinz Field. Originally, a sales tax increase was proposed to fund three projects: Heinz Field, PNC Park, and an expansion of the David L. Lawrence Convention Center. After the rejection of this proposal in a 1997 referendum known as the "Regional Renaissance Initiative", the city developed the alternate funding proposal Plan B. Similarly controversial, the proposal was labeled Scam B by opponents. The Steelers' pledge toward the new stadium was criticized for being too little, even after it was raised from $50 million to $76.5 million. Other local government members criticized the $281 million of public money allocated for Plan B. One member of the Allegheny Regional Asset District board called the use of tax dollars "corporate welfare". 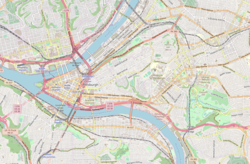 The plan, totaling $809 million, was approved by the Allegheny Regional Asset District board on July 9, 1998, with $233 million allotted for Heinz Field. Shortly after Plan B was approved, the Steelers made a deal with Pittsburgh city officials to stay in the city until at least 2031. The total cost of Heinz Field was $281 million. HOK Sport designed the stadium. HOK Sport's project manager for the project, Melinda Lehman, said that the Rooney family asked for the stadium's design to "acknowledge the history of Pittsburgh and also bring in an element of looking forward, this is where Pittsburgh is going." In order to accomplish this, HOK Sport used steel structurally and externally. The stone used in Heinz Field's design is artificial, in order to decrease cost. Of the glass used in the stadium's design, Lehman said, "The glass is a more modern building element, which ties into a lot of the buildings in [Downtown] Pittsburgh and gives great views of the surrounding areas." The Steelers and Panthers have their own locker rooms, which differ in size based on the number of players each team is permitted to dress for each game. The visitor facilities are modeled after the home locker rooms' design. As with its predecessor, Heinz Field's culinary service provider is Aramark; over 400 eateries are located throughout the stadium. A bronze statue of Steelers founder Art Rooney, similar to those located outside PNC Park, was moved 100 feet (30 m) from its previous position outside Three Rivers Stadium. In addition, a statue of a Pitt Panther over a paved depiction of Pitt's Cathedral of Learning was placed outside Gate A. Upon opening in 2001, Heinz Field's 27 by 96 foot Sony JumboTron was the largest scoreboard in the NFL. In 2007, ESPN named the "tipping" of the oversized Heinz ketchup bottles atop the scoreboard one of the top ten touchdown celebrations in the NFL. A view of Heinz Field from across the river. Ground was broken for Heinz Field on June 18, 1999, at a ceremony co-hosted by the Steelers and the University of Pittsburgh. The stadium was constructed by Hunt Construction Group and Mascaro Corporation. The two companies directed 1,400 workers over two years, in which there were no construction accidents or lawsuits. The stadium is inspected yearly, along with PNC Park, by Chronicle Consulting, LLC, for structural defects and maintenance. The first event held at Heinz Field was a concert hosted by the band 'N Sync, on August 18, 2001. Coincidentally, they were also the last band to perform at the Steelers' previous home, Three Rivers Stadium. Prior to the Steelers regular season schedule, the team played a pre-season game against the Detroit Lions on August 25, 2001. Pittsburgh won the stadium's unofficial opening game 20–7, with 57,829 spectators in attendance. The first official football game played in the stadium was between the Pittsburgh Panthers and East Tennessee State, on September 1. The Panthers won the game 31–0, with quarterback David Priestley scoring the first touchdown on an 85-yard run. The Steelers were scheduled to open the regular season play at Heinz Field on September 16 against the Cleveland Browns; however, due to the September 11 attacks, all NFL games of the week were postponed, thus moving the stadium's premiere to October 7, against the Cincinnati Bengals. Prior to the game, a speech from US President George W. Bush, ordering attacks on Taliban-controlled Afghanistan, was shown live on the stadium's JumboTron. The speech was met with much applause and support from the spectators in attendance. Pittsburgh defeated the Bengals, 16–7. Steelers kicker Kris Brown scored the first NFL points in the stadium on a 26-yard field goal, and quarterback Kordell Stewart scored the first touchdown on an eight-yard run. That same year, two light-emitting diode (LED) video displays from Daktronics were installed at the field. The larger, high definition video display measures approximately 28 feet (8.5 m) high by nearly 96 feet (29 m) wide. In 2007, writer Bill Evans named Heinz Field the second best stadium in the NFL, behind Lambeau Field, in an article for ESPN.com. Although both stadiums received a score of 54 out of 70, Sports Illustrated named Heinz Field the second best stadium in the NFL, also behind Lambeau Field. While the Steelers continue to make capital improvements to Heinz Field as well as expand seating, the future of the Pitt Panthers at the stadium as been more murky. Attendance for Panthers games has varied from an average high of 59,197 people per game throughout the 2003 season to a low of 43,680 in 2007. Most recently, Pitt averaged 48,150 in home attendance during the 2015 season. Nonetheless, Pitt's average attendance is significantly less than that of Pitt Stadium, which was located on campus and torn down to make way for the Petersen Events Center. Much of Pitt's average attendance has been attributed to Heinz Field being a distance from Pitt campus in Oakland, with games currently being largely attended by alumni as well as fans of the opposing teams. Most of Pitt's students that live on or near campus don't own a car or chose not to bring their car from home, leaving many to rely on the Port Authority of Allegheny County or TNC drivers for Uber or Lyft. While there has been talk of extending the Pittsburgh Light Rail to Oakland, significant costs were cited during construction of the North Shore Connector, which terminates at Heinz Field. Another solution has mentioned moving the games back on campus with a purpose-built stadium, which has gained support from Pitt's administration. In addition to football games, Heinz Field has hosted other various activities. On August 4, 2012, Heinz Field hosted the Women's Football Alliance's National Championship Game, becoming the first NFL stadium to host a title game for any women's football league. The quickest score in NFL history occurred on September 8, 2013, in the Steelers season opener against the Tennessee Titans, when the Steelers scored a safety on the opening kickoff three seconds into the game. Darius Reynaud of the Titans fielded the kickoff and took a short step backwards (into the south end zone) for what was ruled to be a safety, not a touchback, because the ball was not in the end zone when it was fielded. The Steelers, however, lost the game 16-9, which was also their first home opener loss since Heinz Field opened. The longest NFL field goal ever kicked in Heinz Field is 53 yards. Dallas Cowboys kicker Dan Bailey first set the record in 2016. That record was tied on November 26, 2017 by Pittsburgh Steelers kicker Chris Boswell in a game-winning effort over the Green Bay Packers with 4 seconds remaining in the game, resulting in a 31-28 win. In collegiate play, University of Pittsburgh kicker Alex Kessman kicked a 55-yard field goal against the Syracuse Orange on October 6, 2018. Since its opening in 2001, bands and artists including 'N Sync, Beyoncé, Taylor Swift, Kenny Chesney, and LeAnn Rimes have performed at the stadium. In addition, hometown bands The Clarks and the Povertyneck Hillbillies have played multiple shows at the stadium. Shawn Mendes The 1989 World Tour 54,801 / 54,801 $5,836,926 Little Big Town was the special guest. July 12, 2016 Guns 'N Roses Wolfmother Not in This Lifetime ... Tour 39,109 / 42,109 $3,810,026 AC/DC guitarist Angus Young was the special guest. Charli XCX Taylor Swift's Reputation Stadium Tour 56,445 / 56,445 $6,230,876 Highest attended concert in the stadium to date. On July 27, 2014, Heinz Field hosted a soccer match between A.C. Milan and Manchester City which was part of the 2014 International Champions Cup and Manchester City won the match 5-1. 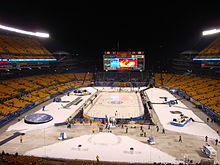 On May 28, 2010, National Hockey League commissioner Gary Bettman announced that Heinz Field would be the host of the 2011 NHL Winter Classic. The game was played January 1, 2011 between the Pittsburgh Penguins and Washington Capitals. Pittsburgh native Jackie Evancho sang the Star Spangled Banner before local sports legends Franco Harris, Jerome Bettis and Mario Lemieux dropped the ceremonial puck. The Capitals won, 3–1. The game was the highest rated NHL contest since 1996 and the highest rated regular season game since 1975. It was also the first night Classic and the first to use "CableCam" technology. The 2011 American Idol Auditions chose Pittsburgh of one of six cities and scheduled signups at Heinz Field on July 12–13 and auditions on July 15, 2011. Heinz Field served as the home field of the Gotham Rogues in the 2012 film The Dark Knight Rises. An estimated 15,000 unpaid extras filled the stadium during shooting on August 6, 2011. During Episode 4 of The Bachelorette (season 12), eleven contestants competed in a five on five football game. In addition, they met with football players from the Steelers, including Ben Roethlisberger, Hines Ward, and Brett Keisel. In 2002, the Pittsburgh Marathon concluded at Heinz Field; the course was altered from past years to allow competitors to cross the finish line on the field. In 2005, the Pittsburgh Wine Festival was held at Heinz Field, over 2,000 people attended. In June 2001, Kentucky Bluegrass was laid on the field, at half the height of most NFL field's 2-inch (51 mm) grass. The field is heated from below, using a mixture of antifreeze and hot water, to keep the field at around 62 °F (17 °C) in order to keep the grass growing year-round. The field was re-surfaced multiple times, until the synthetic-enhanced Desso GrassMaster was installed in 2003. Debate continued over the surface after players began slipping during game play. Despite this players and coaches of Pitt, the Steelers, and their opponents supported keeping the current turf. I need the grass. I like the mud. I like the sloppiness, I'm used to it. Mr. Rooney, can we please keep the grass? I don't want no FieldTurf. It's bad on your knees. On Friday, November 23, 2007, Heinz Field hosted four WPIAL championship football games which were followed the day after with a game between Pitt and South Florida. After discussion with the NFL, Steelers ownership made the decision to re-surface the field for their nationally televised game against the Miami Dolphins. A layer of sod was laid overtop the 2.5-acre (1.0 ha) Desso GrassMaster surface. The field's condition was exacerbated by 1½ inches of rain after the new sod had been laid, which did not allow the tarp to be removed from the field until 70 minutes before the game began. The field conditions during the game ended up being so bad that at one point during the game, a punt by Dolphins punter Brandon Fields ended up sticking into the turf without bouncing. The Steelers won the game 3–0, with a field goal by Jeff Reed with 17 seconds remaining in regulation; it was the NFL's first 3-0 game since 1993 and the longest two teams went without scoring since the New York Giants and Detroit Lions played to a scoreless tie on November 11, 1943. Scott Brown, of the Pittsburgh Tribune-Review, called the field a "veritable mud pit". While Gene Upshaw, head of the National Football League Players' Association, also criticized the field citing a 2006 survey of NFL players that ranked Heinz Field as the second worst field in the league. Steelers receiver Hines Ward called the playing conditions "horrendous" after the game. However, the following day Ward and other Pittsburgh players lobbied to keep the natural surface stating, "I think everybody wants to keep the grass." Since that season, the Steelers have played their game on the weekend following Thanksgiving on the road at the team's request. Debate continued over the field later in the season when Jacksonville running back Fred Taylor called the field "a lawsuit pending". Pittsburgh's ownership stated that the decision was up to the players, who once again defended the natural surface. In February 2008, the Steelers announced that they would keep the Desso GrassMaster surface. During the 2008 season quarterback Ben Roethlisberger was given a concussion after being hit at Heinz Field. He later stated, "I'm glad we weren't on FieldTurf. That grass—you know, the soft Heinz Field—might've helped a little bit." After the 2008 season, a poll of 1,565 NFL players rated the surface at Heinz Field as the worst of the 18 natural surfaces in the League. The DDGrassmaster surface was removed in January 2009 and replaced with the old sod placed on top of the DDGrassmaster surface for the AFC Championship also in January 2009. Initially, the south end zone had either "Steelers" or "Panthers" painted in the end zone, depending on the game itself. The north end zone has always read "Pittsburgh", which is painted in gold lettering and trimmed in either black for the Steelers or dark blue for Pitt. Although there is typically no midfield logo when both Pitt and the Steelers are in season, both teams have applied their logo if the field's schedule allows for a sufficient break to remove or apply the other team's logo for that team's next upcoming game. The Steelers have typically added their logo to midfield after Pitt's football season has ended. In 2003, the Steelers played the Philadelphia Eagles in a preseason game to commemorate the 60th anniversary of the Steagles team, when the two merged as a result of player shortages caused by World War II. Steelers president Dan Rooney had initially considered wearing a throwback uniform for the game, but decided against it because the merged team wore the Eagles uniforms, and the Steelers didn't want to wear the Eagles' colors. Instead, the team had the south end zone painted in plain diagonal white lines, which were common in NFL endzones until the 1960s. Although the Steelers lost the game 21–16, Rooney liked the look of the south end zone being "plain", and decided to keep it permanently. As with the team's logo at midfield, the Steelers paint "Steelers" in the south end zone once the college football season ends. The Green Bay Packers also adopted the plain diagonal white lines in the end zones at Lambeau Field for 2007 due to an Anniversary logo being painted on each end, before switching back to wordmark endzones in 2008 which have remained since. Panorama of Heinz Field from club seating during Steelers vs. Chiefs post-game on December 21, 2014. Note the "Steelers" painted in the south endzone, added after the college football season. As of 2008, the Pittsburgh Steelers have sold out every home game since the 1972 season. Entering the 2008 season, the Steelers average ticket price of $69.47 was the 15th highest out of the NFL's 32 teams. The majority of the 65,050 seats are colored "Steeler gold", though club seats are dark gray. Heinz Field features 1,500��seats in 129 luxury boxes, with prices ranging from $64,000 to $135,000 depending on location and size. These boxes were predicted to increase the Steelers' profits from $10 to $11 million per season over those at Three Rivers Stadium. The stadium also features 6,600 club seats that include a restaurant and an indoor bar, at prices up to $2,000 per person. For the 2010 season, season ticket prices for Panthers games range from a maximum of $295 per club seat with required donations per seat between $250 and $500 depending on location, to as low as $87 per seat with no required donation for upper end zone sections. Individual game ticket prices ranged from $30 to $65 depending on the seat location and the opponent. The Great Hall spans approximately 40,000 square feet (3,700 m2) on the east side of the stadium and houses a collection of Steelers and Pittsburgh Panthers memorabilia. The Hall includes a timeline of the Steelers franchise's major events, an oversized Steelers helmet hangs from the ceiling beside a video screen that shows entertainment for fans throughout game days. The Great Hall also features the actual lockers of several former Steelers, including Hall of Fame members Franco Harris, Joe Greene, and Bill Dudley. Six large Super Bowl trophies-shaped display columns were erected and contain artifacts from each championship the Steelers have won including replica trophies. Two display columns are dedicated to the University of Pittsburgh and contain memorabilia from the Panthers' teams. The floor is painted to resemble the field at Three Rivers Stadium, with the word "Steelers" painted in black over a gold background. University of Pittsburgh players are featured on two large murals within the Hall. Eight additional tile murals created by local high schools represent western Pennsylvania football history. 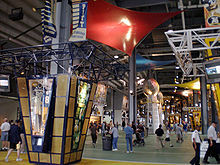 In 2007, the Great Hall was named the best concourse at an NFL stadium by writer Bill Evans, in an article for ESPN.com. 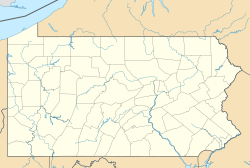 The Steelers notified the Pittsburgh Stadium Authority in December 2010 of their intention to add up to 4,000 seats to the lower southern end of the stadium. The plan would increase seating up to 69,050 as soon as the 2012 NFL season. Seating was added in that section for the 2011 NHL Winter Classic, which had an attendance of 68,111. The temporary seating was left in place for the 2010–11 NFL playoffs, with the AFC Championship game on January 23 having a record attendance of 66,662. On April 12, 2012, the Steelers confirmed they would seek approval from the NFL to expand seating by 3,000. On May 19, 2014, after more than two years, the Steelers and the SEA came to an agreement to add about 3,000 seats to the venue. After contractors surveyed the complex the final number of 2,390 added seats with five additional suites including more parking, restrooms and concessions was determined in December 2014 to increase capacity to a total of 68,400. The seating was put in place by the summer of 2015. Heinz Field is located at Exit 1B of Interstate 279 within a mile of direct access to both Interstate 376 and Interstate 579. The stadium also has dedicated elevated walkway access to the Allegheny Station of the Light Rail/Subway system. On Steelers and Pitt Panthers game days, access is also provided from Station Square parking facilities via the Gateway Clipper Fleet. ^ "HISTORY". www.pgh-sea.com. Sports & Exhibition Authority of Pittsburgh and Allegheny County. September 1, 2009. Retrieved October 28, 2009. ^ Bouchette, Ed; Dulac, Gerry; Finder, Chuck (August 31, 2001). "Steeler Report, 8/31/01". Pittsburgh Post-Gazette. Retrieved June 24, 2018. ^ Belko, Mark (March 17, 2006). "Steelers Adding 700 Heinz Field Club Seats". Pittsburgh Post-Gazette. Retrieved June 24, 2018. ^ "2011 Pittsburgh Steelers Media Guide" (PDF). Pittsburgh Steelers. 2011. Retrieved June 24, 2018. ^ Zullo, Robert (August 23, 2015). "Steelers Score a TD with Heinz Field Renovations". Pittsburgh Post-Gazette. Retrieved June 24, 2018. ^ a b Bouchette, Ed; Finder, Chuck (August 14, 2009). "Steelers Notebook: Natural Grass Is Back At Heinz". Pittsburgh Post-Gazette. Retrieved March 16, 2012. ^ a b c "Architects Contractors and Subcontractors of Current Big Five Facility Projects". Sportsbusinessdaily.com. July 24, 2000. Retrieved 2012-06-04. ^ "Pittsburgh Steelers – Heinz Field". NW Getz. Archived from the original on 2006-01-16. Retrieved 2012-06-04. ^ a b c "Heinz Field Stadium Fact Sheet". Steelers.com. Archived from the original on April 17, 2008. Retrieved August 5, 2008. ^ a b c Cook, Ron (June 22, 1998). "Plan B Flawed; Option Is Worse". Pittsburgh Post-Gazette. Retrieved April 5, 2008. ^ Barnes, Tom (June 18, 1998). "Steelers Sell Bonds to Help Raise Money for New Stadium". Pittsburgh Post-Gazette. Retrieved August 5, 2008. ^ Bouchette, Ed (August 24, 2001). "Heinz Field: Standing Up to the Competition". Pittsburgh Post-Gazette. Retrieved August 5, 2008. ^ Deckard, Linda (June 25, 2001). "Heinz Pours Itself Into $57 Million Naming Rights Deal In Pittsburgh". AllBusiness.com. Archived from the original on January 11, 2009. Retrieved August 5, 2008. ^ "Stadium naming rights". Sports Business. ESPN.com. September 29, 2008. Retrieved August 5, 2008. ^ "Plan B". Pittsburgh Post-Gazette. Retrieved April 5, 2008. ^ a b Dvorchak, Robert (June 21, 1998). "A TD for Plan B". Pittsburgh Post-Gazette. Retrieved April 5, 2008. ^ Belko, Mark (June 5, 1998). "Cranmer Still Optimistic on Plan B Deal". Pittsburgh Post-Gazette. Retrieved August 5, 2008. ^ "Team Sale Would Trigger Review of Public Stadium Funding". NFL. ESPN.com. July 16, 2008. Retrieved August 5, 2008. ^ a b Barnes, Tom; Dvorchak, Robert (July 10, 1998). "Plan B Approved: Play ball!". Pittsburgh Post-Gazette. Retrieved April 5, 2008. ^ Barnes, Tom (February 11, 1998). "Arena Won't Be Part of Plan B". Pittsburgh Post-Gazette. Retrieved April 5, 2008. ^ a b Dulac, Gerry (August 1, 2001). "Revenue From Premium Seating is the Coin of the Realm in the NFL". Pittsburgh Post-Gazette. Retrieved August 6, 2008. ^ Dulac, Gerry (September 28, 1998). "Football Stadium Architect Selected". Pittsburgh Post-Gazette. Retrieved April 5, 2008. ^ a b c d e Lowry, Patricia (August 1, 2001). "Heinz Field Dominates, Rewards Fans With Spectacular Scenery". Pittsburgh Post-Gazette. Retrieved August 5, 2008. ^ Fittipaldo, Ray (August 1, 2001). "New Steelers, Panthers Locker Rooms Are Separate, Simple". Pittsburgh Post-Gazette. Retrieved August 5, 2008. ^ "Heinz Field". Stadiums and arenas. Aramark.com. Archived from the original on June 27, 2009. Retrieved August 5, 2008. ^ a b Barnes, Tom (August 25, 2001). "Let the Games Begin, Heinz Field Boss Says". Pittsburgh Post-Gazette. Retrieved August 5, 2008. ^ Fittipaldo, Ray (August 1, 2001). "Game-Day Entertainment Built Around NFL's Biggest Scoreboard". Pittsburgh Post-Gazette. Retrieved August 6, 2008. ^ Pahigian, Josh (December 3, 2007). "Best NFL Touchdown Rituals (continued)". Sports Travel. ESPN.com. Retrieved September 4, 2008. ^ "Steelers Break Ground for New Football Stadium". PittsburghSteelers.com. June 18, 1999. Archived from the original on May 17, 2008. Retrieved August 6, 2008. ^ "Heinz Field Graphics" (PDF). Pittsburgh Tribune-Review. August 24, 2001. Archived from the original (PDF) on February 19, 2006. Retrieved August 5, 2008. ^ Chronicle Consulting. "Sports & Exhibition Authority of Pittsburgh and Allegheny County". ChronicleConsulting.com. Retrieved April 21, 2008. ^ Suhr, Leslie (August 19, 2001). "'N Sync Thrills Fans at Heinz Opening". Pittsburgh Tribune-Review. Archived from the original on September 13, 2011. Retrieved August 6, 2008. ^ a b Anderson, Shelly (August 1, 2001). "High-Tech Turf Awaits Steelers, Panthers". Pittsburgh Post-Gazette. Retrieved August 6, 2008. ^ "Detroit Lions at Pittsburgh Steelers – Preseason Week 3". NFL GameCenter. NFL.com. August 25, 2001. Retrieved August 5, 2008. ^ a b "NFL History". 2001–2010. NFL.com. Retrieved August 5, 2008. ^ "Heinz Field". Facilities. PittsburghPanthers.com. Retrieved August 5, 2008. ^ a b c Roberts, Randy; Welky, David (2006). One for the Thumb. University of Pittsburgh Press. p. 333. ISBN 0-8229-5945-3. ^ Finder, Chuck (October 8, 2001). "The Big Picture: Home Opener Almost Normal". Pittsburgh Post-Gazette. Retrieved August 5, 2008. ^ "Box Score – Week 4". NFL GameCenter. NFL.com. October 7, 2001. Archived from the original on January 11, 2009. Retrieved August 5, 2008. ^ "Steelers Upgrade Heinz Field End Zone Video Board". Archived from the original on 2012-03-21. ^ a b Evans, Bill (June 4, 2007). "The Ultimate Sports Road Trip's Best NFL Stadiums". ESPN.com. Retrieved September 4, 2008. ^ "NFL Fan Value Experience: Pittsburgh Steelers". Sports Illustrated. November 7, 2007. Retrieved October 13, 2008. ^ Gorman, Kevin (November 24, 2007). "Off-Campus Location a Factor in Pitt Game Attendance". Pittsburgh Tribune-Review. Archived from the original on September 9, 2012. Retrieved August 6, 2008. ^ "Pitt football sees biggest crowd increase of Power 5 schools". Pittsburgh Post-Gazette. December 18, 2015. Retrieved December 28, 2015. ^ O'Neill, Brian (8 June 2008). "North Shore Connector, you're looking good". Pittsburgh Post-Gazette. Retrieved 22 January 2011. ^ Hentges, Rochelle (September 2, 2005). "Hungry for Some Entertainment? Hit Heinz Field". Pittsburgh Tribune-Review. Archived from the original on July 7, 2009. Retrieved August 6, 2008. ^ Suhr, Leslie (19 August 2001). "'N Sync thrills fans at Heinz opening". Pittsburgh Tribune-Review. Trib Total Media, Inc. Archived from the original on 13 September 2011. Retrieved 13 September 2011. ^ Mervis, Scott (June 6, 2015). "Taylor Swift dazzles at Heinz Field once again with 1989 Tour". Pittsburgh Post-gazette. Retrieved June 7, 2015. ^ "Wolfmother to open Guns N' Roses' reunion tour". Consequence of Sound. June 30, 2016. Retrieved July 5, 2016. ^ Molinari, Dave (May 27, 2010). "Penguins to Host Capitals in 2011 Winter Classic at Heinz Field". Pittsburgh Post-Gazette. Retrieved June 12, 2010. ^ "Winter Classic to Feature Music, Hockey and Football Legends". Penguins.nhl.com. 2010-12-29. Retrieved 2012-06-04. ^ Sandomir, Richard (January 3, 2011). "Ratings Rise for Prime Time Winter Classic". The New York Times. Retrieved January 4, 2011. The Winter Classic in Pittsburgh between the Penguins and the Washington Capitals on New Year's Day was seen by an average of 4.5 million viewers on NBC. It was the most-watched N.H.L. regular-season game since a Rangers win over the Philadelphia Flyers in February 1975 attracted 5.5 million viewers. ^ Varley, Teresa (2011-07-12). "Fans Can Be a Part of The Dark Knight Rises Filming". Steelers.com. Retrieved 2012-06-04. ^ Vancheri, Barbara (August 6, 2011). "'Dark Knight' Snows on Downtown Streets". Pittsburgh Post-Gazette. Retrieved August 10, 2011. ^ "The Bachelorette recap, episode 4: Jordan Rodgers dominates at quarterback on the Steelers' field". SBNation. 8 June 2016. Retrieved 1 October 2017. ^ Bouchette, Ed (February 3, 2007). "Grass Won't Be Greener (or New)". Pittsburgh Post-Gazette. Retrieved August 5, 2008. ^ Brown, Scott (October 18, 2006). "Debate Rages Over Heinz Field Turf". Pittsburgh Tribune-Review. Archived from the original on October 5, 2008. Retrieved August 5, 2008. ^ a b "Steelers Players Lobby Against Artificial Turf". NFL. ESPN.com. Associated Press. November 28, 2007. Retrieved August 5, 2008. ^ Bouchette, Ed (November 27, 2007). "Steelers Aim to Dry Out Heinz Field Sod". Pittsburgh Post-Gazette. Retrieved August 5, 2008. ^ Fuoco, Linda Wilson (November 26, 2007). "Turf Topper: Heinz Field Surface Sporting New Temporary Sod". Pittsburgh Post-Gazette. Retrieved August 5, 2008. ^ a b "After Pondering Change, Steelers Staying with Grass Field". NFL. ESPN.com. Associated Press. February 11, 2008. Retrieved August 5, 2008. ^ Starkey, Joe (November 27, 2007). "Heinz Field Surface 'Like a Beach'". Pittsburgh Tribune-Review. Archived from the original on October 5, 2008. Retrieved August 5, 2008. ^ a b "Dolphins Continue Woeful Ways, Fall to 0–11 After Sloppy Game". NFL. ESPN.com. Associated Press. November 26, 2008. Retrieved August 5, 2008. ^ a b Brown, Scott (February 1, 2008). "NFLPA's Upshaw Calls Out Heinz Field Grass". Pittsburgh Tribune-Review. Archived from the original on September 13, 2008. Retrieved August 5, 2008. ^ Clayton, John (November 27, 2007). "Steelers Prevail in 'Horrendous' Conditions". NFL. ESPN.com. Retrieved August 5, 2008. ^ "Taylor No Fan of Steelers' Muck-Like Conditions at Heinz Field". NFL. ESPN.com. Associated Press. January 1, 2008. Retrieved August 5, 2008. ^ "Grass or Fake Grass? Steelers Haven't Decided Yet". NFL. ESPN.com. Associated Press. January 8, 2008. Retrieved August 5, 2008. ^ Bouchette, Ed (January 6, 2009). "Roethlisberger: Heinz Field's Natural Turf Lessened Injury". Pittsburgh Post-Gazette. Retrieved January 6, 2009. ^ Bouchette, Ed (January 29, 2009). "Players Rate Heinz Field Worst Grass Playing Surface". Pittsburgh Post-Gazette. Retrieved January 29, 2009. ^ "Steelers' Former Radio Announcer Myron Cope Dies at 79". USA Today. Associated Press. February 28, 2008. Retrieved June 7, 2008. ^ Robinson, Alan (September 5, 2008). "Steelers Ticket Prices Again Below League Average". Pittsburgh Tribune-Review. Archived from the original on September 22, 2008. Retrieved September 6, 2008. ^ "2010 Ticket Information". PittsburghPanthers.com. Archived from the original on July 27, 2010. Retrieved June 25, 2010. ^ a b c Dulac, Gerry (August 1, 2001). "Great Hall a Steelers Shrine". Pittsburgh Post-Gazette. Retrieved August 6, 2008. ^ a b "Official Site of the Pittsburgh Steelers – Coca-Cola Great Hall". Pittsburgh Steelers. Archived from the original on May 15, 2008. Retrieved August 6, 2008. ^ Labriola, Bob (December 27, 2010). "Steelers Consider Expanding Heinz Field". Pittsburgh Steelers. Archived from the original on 2012-03-05. Retrieved June 4, 2012. ^ Kovacevic, Dejan (March 29, 2012). "Steelers Climb Stairway to Seventh Heaven". Pittsburgh Post-Gazette. Retrieved June 4, 2012. ^ Belko, Mark (April 12, 2012). "Steelers Move to Add 3,000 Seats to Heinz Field". Pittsburgh Post-Gazette. Retrieved April 12, 2012. ^ "Pittsburgh Panthers/Heinz Field Shuttle". Gateway Clipper Fleet. Archived from the original on July 24, 2013. Retrieved July 8, 2013. Pittsburgh Steelers (2002). House of Steel: Heinz Field and the Dawn of a New Era in Pittsburgh. China. ISBN 0-9721664-0-8. 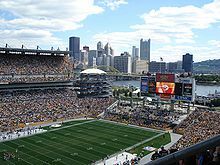 Wikimedia Commons has media related to Heinz Field.